1. Trim off the outer part of the false eyelashes until it matches your own eyes size. 3. 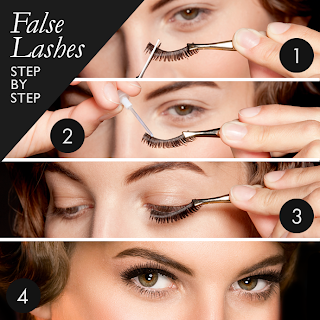 Gentle apply the false eyelashes on top of your own. Hold for a minute until the glue has set- then use your eye lash curler in order to blend your false lashes with your own to achieve a more natural look. 4. Finally coat with mascara – Voila! Tips: Apply an eyeliner to achieve an even more natural look!